We all have that story, whether it's a book, movie, or TV show, that holds a special place in our hearts. It's the story that started us off on the fangirl journey. The one that made us first fall in love with characters and places and ideas. The one that made us excited to engage with it or delighted to talk about it. It's the story that led us to the next and the next and to countless, unimaginable more. It's the first fandom. And this is mine. As a child, I read stacks of books at a time. More often than not, I read above my grade-level, sometimes picking up books that my sister, who is almost three years older than me, was reading. Books were my life, my favorite opportunity to engage with stories, and my window to other worlds. Sure, I watched a lot of Disney films and other children's movies. I had a few TV shows I would eagerly watch every day after school. But books are where I thrived; books are where I fell in love with stories. At some point during those early years, someone read me The Chronicles of Narnia, whether that was a parent or an invisible narrator from a book on tape. I knew the basic story: four children enter another world and do great things. But it wasn't until the 2005 The Lion, the Witch, and the Wardrobe movie came out that I was completely and utterly enchanted by Narnia. At the time, I was eleven years old. The movie came out in December, and for Christmas Eve, my entire family went to see the film in theaters. I recall being the first one in the theater for that showtime and also the last one to leave. I think I didn't want to leave because as I watched the story unfold, I didn't want it to end. I didn't want the magic to disappear. Following the movie, I had to read the books again. But this time, I would read them all by myself. And I fell completely in love with every word C.S. Lewis wrote. Up until this point, I hadn't read a story that truly transformed me. I had read tons of books from the Magic Tree House collection to the Little House books to Beverly Cleary's entire works. I loved those stories and those characters, but they didn't sweep me away like Narnia did. Instead, Narnia took me out of this world and into a new world where I could do and be anything. A world where I could be an adventurer, an explorer, a queen, a hero. A world where I could be brave. For the next several years, Narnia was my favorite story, my favorite movie, and my favorite topic of conversation. I read the books multiple times, I collected Narnia memorabilia (from blankets to posters to every single toy from a fast food restaurant), and I watched the movie over and over. I was ecstatic to see Prince Caspian in theaters on opening day, and later The Voyage of the Dawn Treader. I daydreamed about meeting Lucy and Mr. Tumnus, and I wondered what Aslan's Country looked like. I fell in love with Prince Rillian, and I cried when Aslan sang Narnia into being. The stories consumed me in a way no other story ever had. Sometime between that snowy Christmas Eve and graduating high school, I re-read the books again and couldn't believe how much I still related to stories that had been published fifty years previous. How C.S Lewis's words could still ring true, despite that he had been dead since 1963. I understood how Lucy felt when she wished to be as beautiful as her older sister. I knew the temptation Digory had when he struck the bell in Charn. I learned how to be humble like Reepicheep and brave like Eustace. Each character felt like a part of me, like they had been written specifically for me, and each aspect of Narnia continued to inspire and amaze me. Narnia also led me to other fandoms and stories, from Lord of the Rings and The Hobbit to Peter Pan and A Wrinkle in Time. Eventually, I read Percy Jackson, Harry Potter, and Alice's Adventures in Wonderland because I loved fantasy and myths, and I wanted more and more. 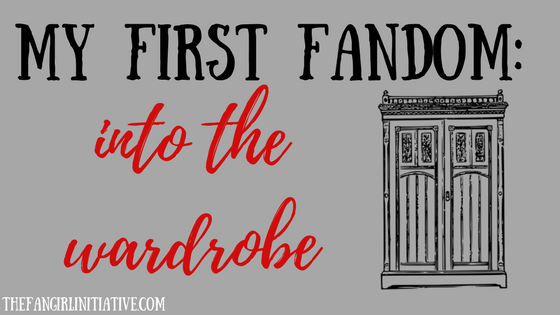 Each story that has paved my own writing journey stems from my adoration for a story about four children who enter a magical wardrobe and enter another world. A world where they can be anything and do anything. It's been a long while since I read the Narnia books. Every year, I tell myself I'll re-read them from that thick seven-in-one volume (or one of the other sets I own). But every year, I find time passes without my returning to the stories that I first fell in love with. Someday, I'll be old enough to read fairy tales again, I tell myself, and I'm holding on to that promise. 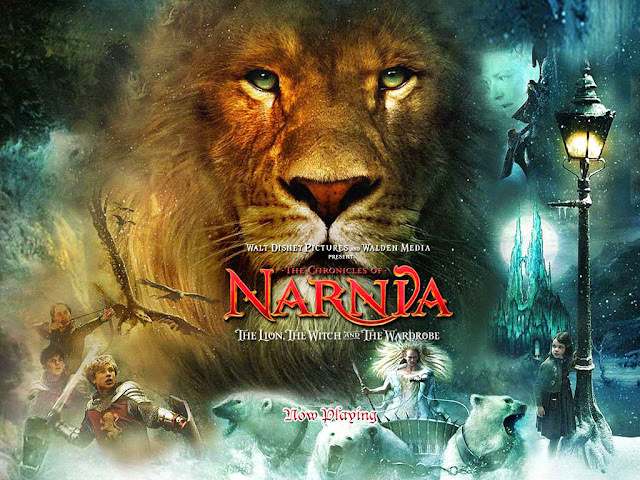 While I've fallen in love with many stories over the past decade, Narnia remains a favorite in my fangirl heart. I consider it my true first fandom because it introduced me to the world of storytelling and fantasy. Narnia is my first fandom, and I have confidence that if all the other fandoms fade from my mind, it will still be there in my heart as my last fandom. "Once a king or queen of Narnia, always a king or queen."